An accidental discovery delivered this unique collection. In the early 50s when the Italian government began excavating for a new airport, they stumbled upon an ancient port built by Emperor Claudius in 46 C.E. 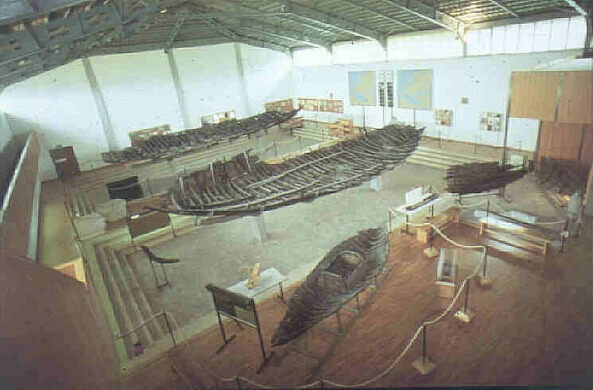 An archeologist’s dream: they found boats, entire hulls of Roman freighters and a fishing boat. These ships provide a precise glance into everyday life of ancient maritime Rome. These large vessels carried 1,500 tons of grain. After the fall of Rome, boats of that capacity were not built again until the late 1700s. 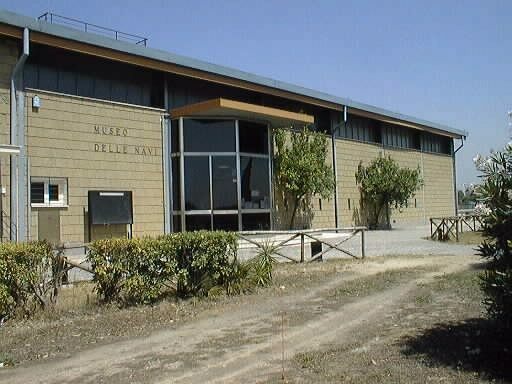 Next to the Leonardo da Vinci Airport, the museum features the found pieces of the ships as well as other artifacts of sea-faring life, like amphorae, the containers used to move oils and grains from Alexandria in Eygpt to Rome. Roman fisherman kept their catch alive all the way back to port because their boats were designed with a central compartment with small holes to allow sea water in - an ancient aquarium. Note: on the first Saturday and last Sunday of each month, a special archeological tour is led of the whole port area. It leaves from the museum at 9:30 a.m. Little-Known Museums In and Around Rome, by Rachel Kaplan. Harry Abrams, Inc. 2000. A secret hatch containing two parchments was discovered in this statue over 40 years after its installation.